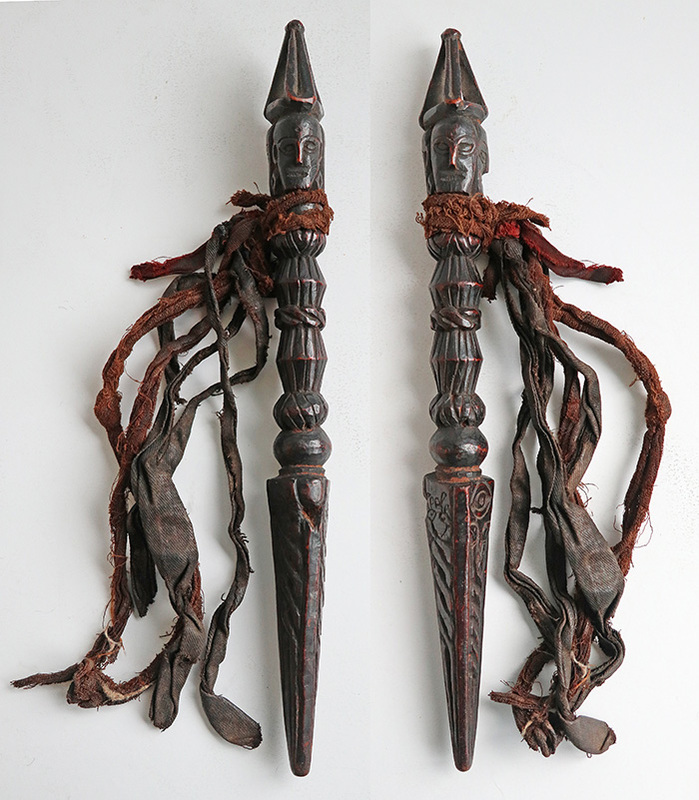 A phurba or phurpa is an essential ritual tool or ceremonial dagger used by a Tibetan or Nepalese shaman to direct positive energy and battle negative forces. 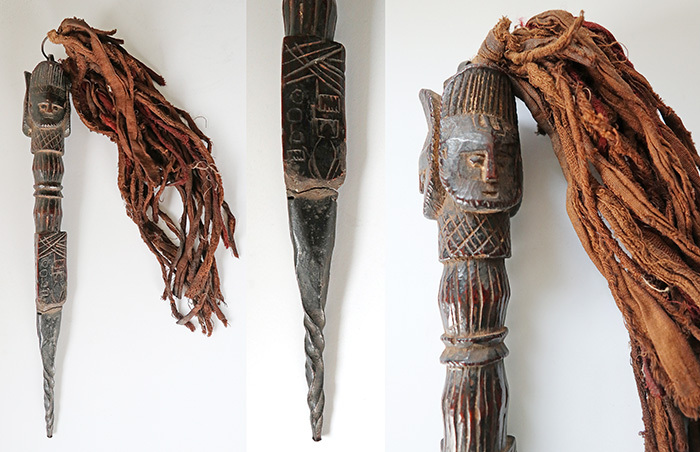 Shaman carve and empower their own wooden phurbas after a period of meditation, and then continue to carry and use them throughout their lifetime. Old phurbas frequently have bindings of thread or fragments of talismanic cloth attached, and many show battle scars and signs of wear and tear. Wooden phurbas are favoured for healing and energetic work. 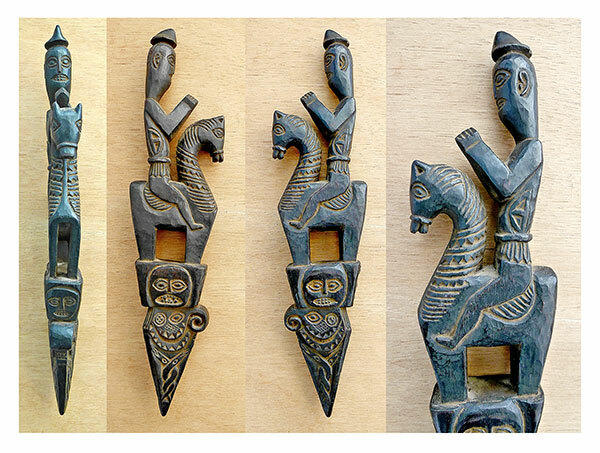 Virtually all the phurbas on the market today are reproductions. 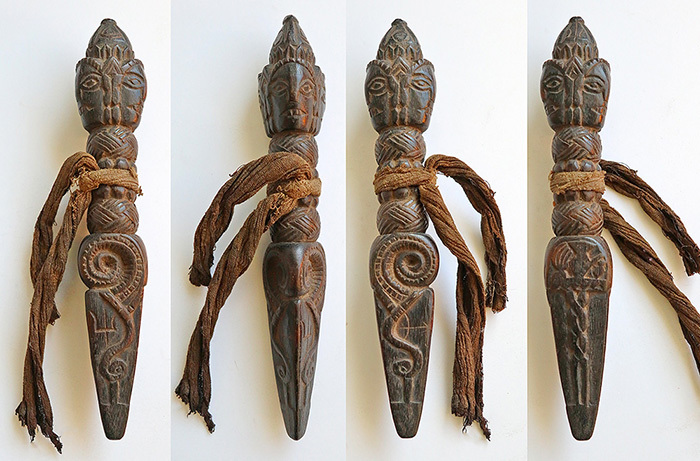 Genuine old phurbas are few and far between and are highly prized by collectors. 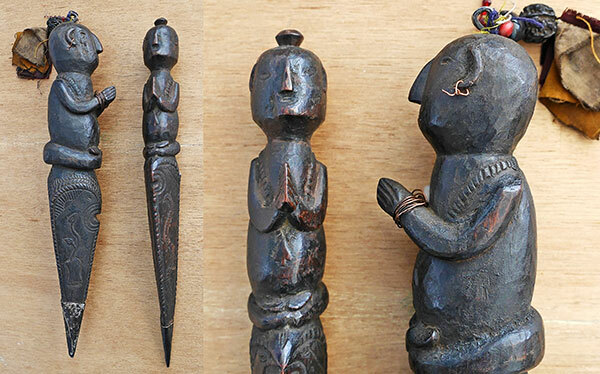 All our phurbas are genuine antiques that were personally collected in Nepal in the 1980s and 90s. They were chosen for their aesthetic quality and intrinsic interest, as well as their authenticity and cultural significance. We have attempted to describe them accurately to the best of our ability, and they are presented here exactly as found...unrestored and unpolished! 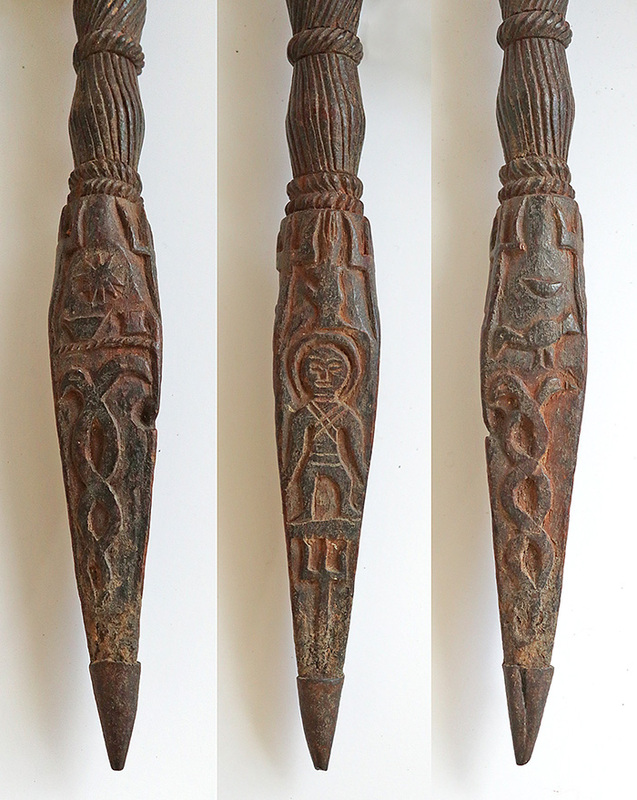 We felt it important not to tamper with such precious, powerful, and magical ritual tools unnecessarily!